In 1966, Clive & Angela celebrated their wedding at The Mansion in Roundhay. 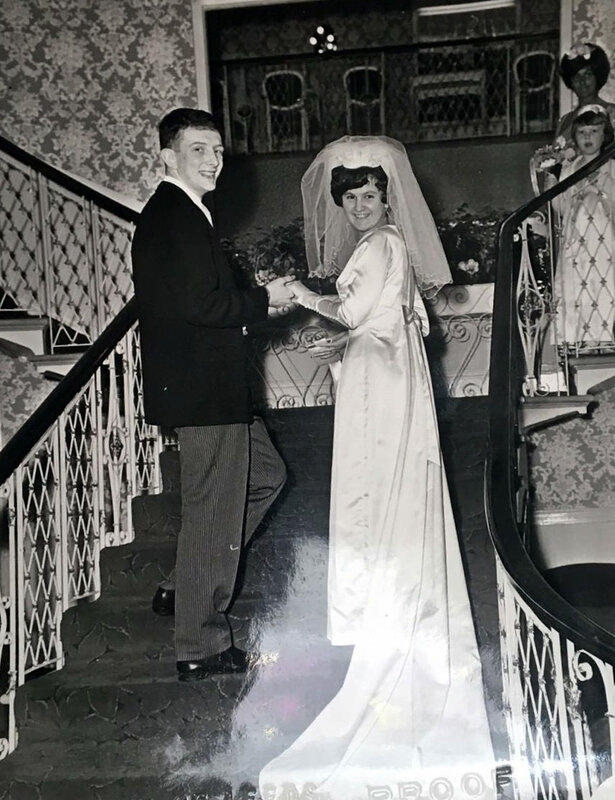 They recently returned to The Mansion and booked a table in The Garden Room, to celebrate their golden wedding anniversary; the lovely couple had their picture taken on the stair case, recreating memories from their special day – followed by lunch with their nearest and dearest. What did you choose for your menu? Tell us a little about your family..
Do you visit The Mansion often? “We often come to Roundhay Park and occasionally pop into the Garden Room Restaurant– always a pleasant welcome and good food and drink at reasonable prices. What’s your secret to a happy marriage – any advice to couples getting married at The Mansion? Say “Yes, I agree”, and do as you are told!! My wife says that she doesn’t know, but it’s worked for us!! 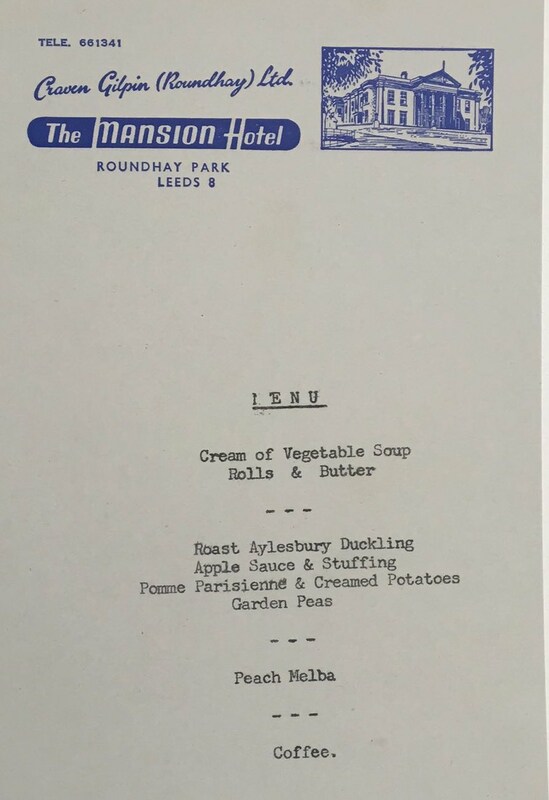 The Mansion has been a place for making special memories for many years; leased out as a hotel and restaurant until its closure in 2004. Dine then took over the lease and lovingly restored this venue to its former glory. 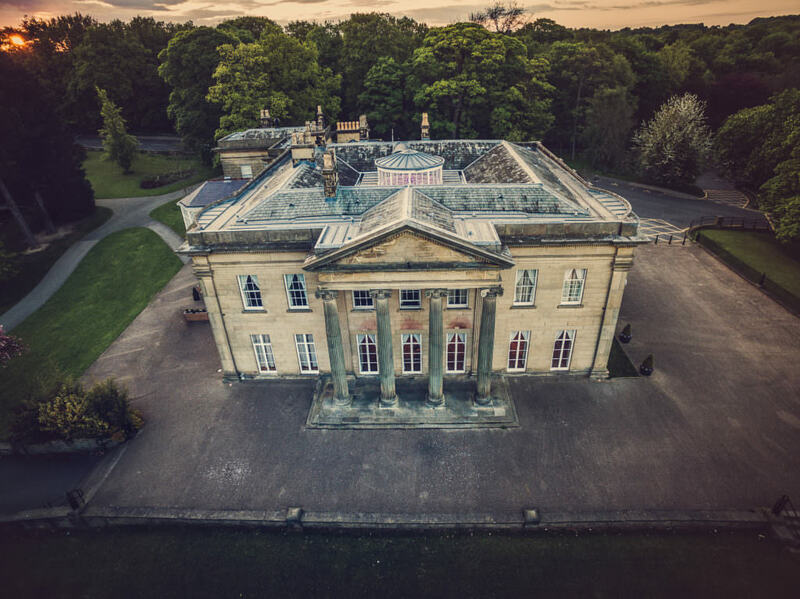 We started hosting weddings in this magnificent grade II listed building in 2009 – it’s popularity as a wedding venue has continued to grow since then.